Utica police announced today (January 30) that an arrest has been made related to the killing of an adopted dog last week. Detective Sgt. Greg Morabito said an arrest was made Wednesday morning, though no additional details have been announced. The suspect is to be arraigned on Thursday at the 41-A District Court in Shelby Township according to the Detroit Free Press. 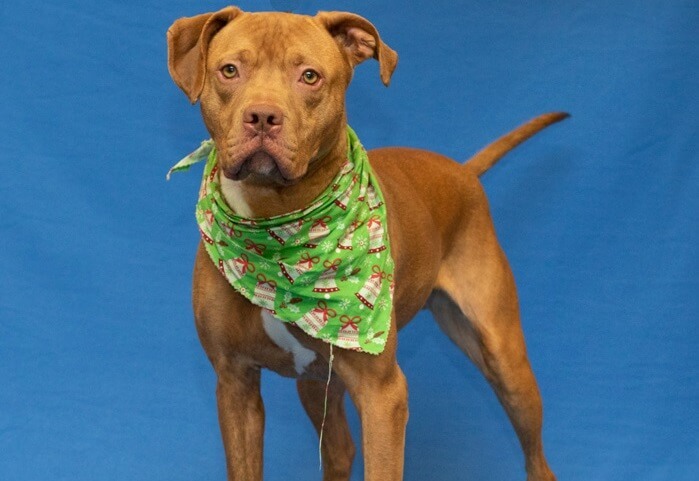 Sterling was a pit bull mix who was adopted from the Michigan Humane Society on December 29. Maintenance workers in Utica found the dog’s body at Grant Park on January 24, which displayed multiple stab wounds.